A.P.C. 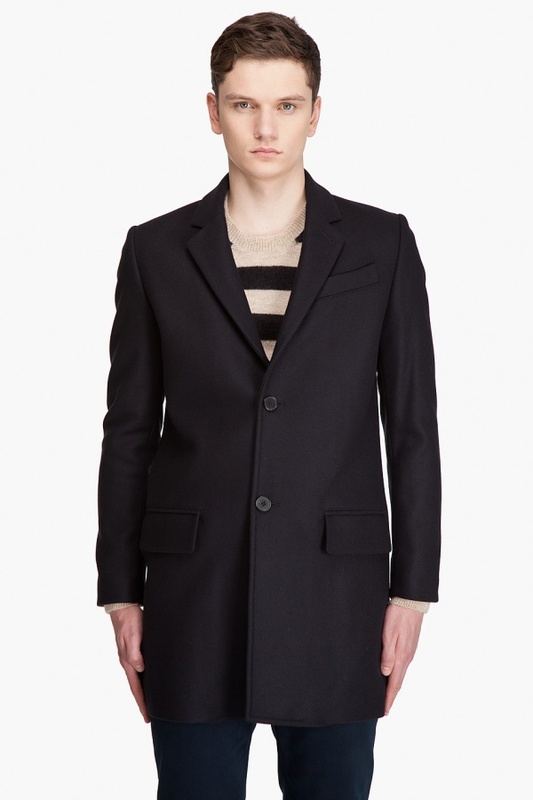 offers this great long sleeve wool pea coat in navy. Featuring a notched lapel collar with buttonhole detail, lightly padded shoulders, two button front and three button sleeve cuffs, it offers clean lines over whatever you’re wearing underneath. Fully lined, and finished with tone on tone stitching, the coat’s available online.